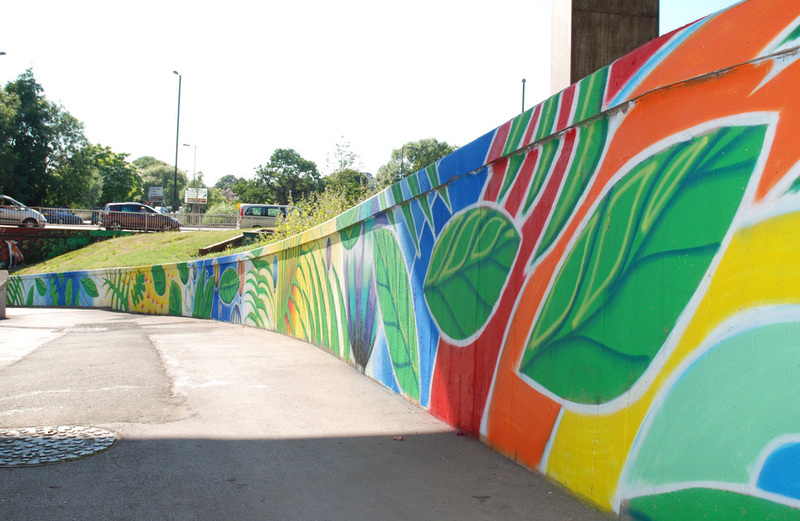 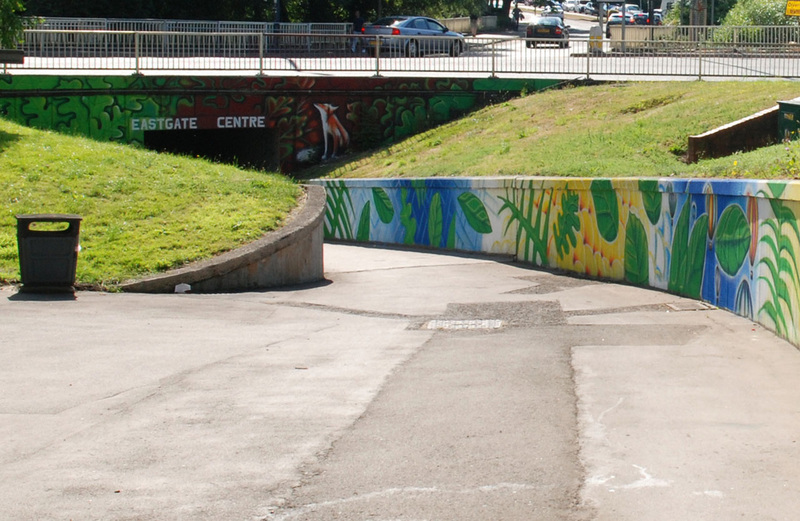 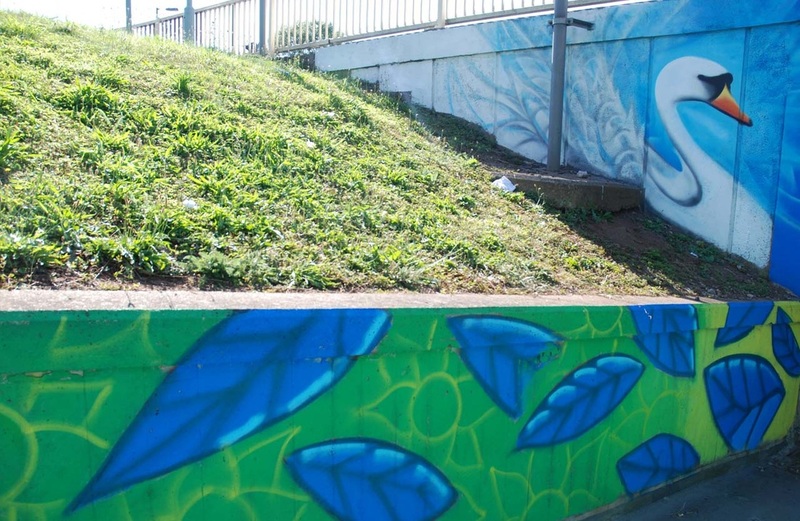 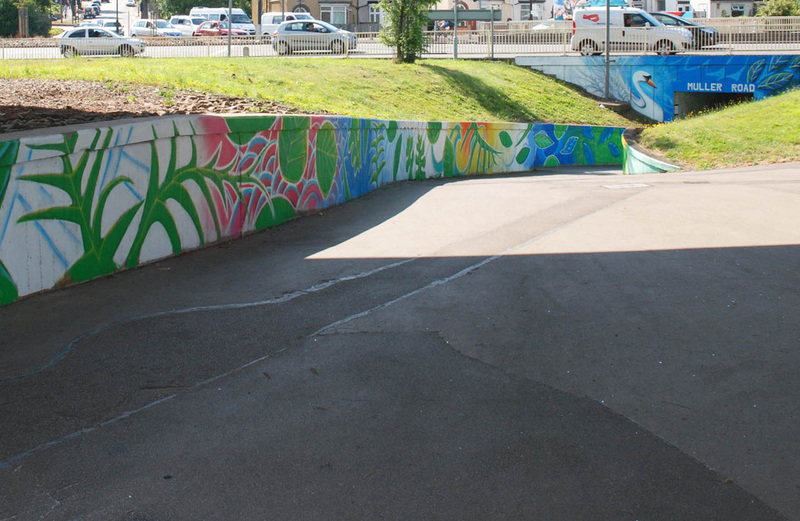 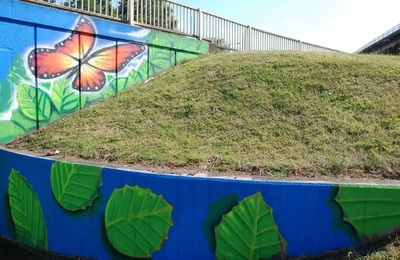 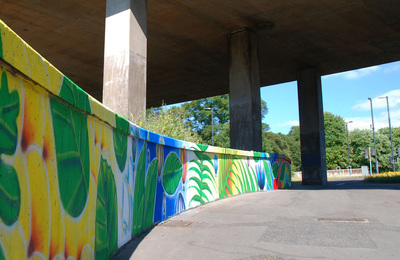 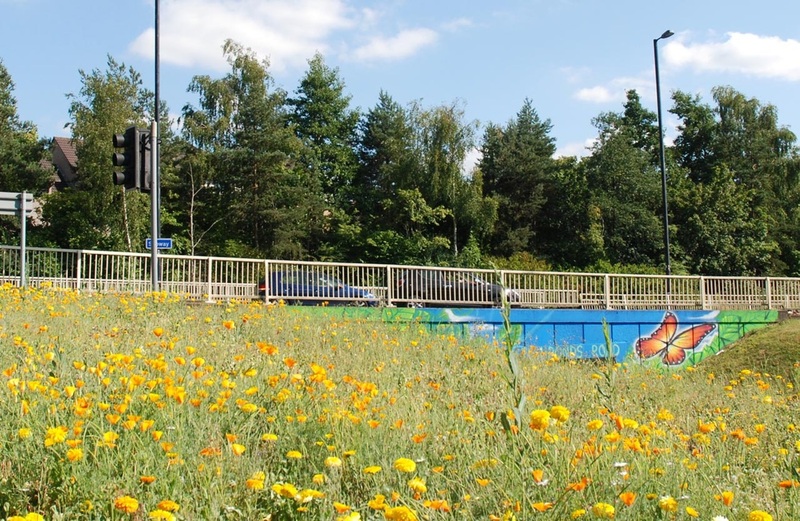 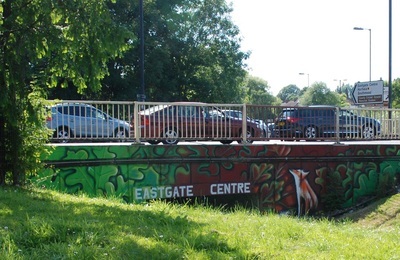 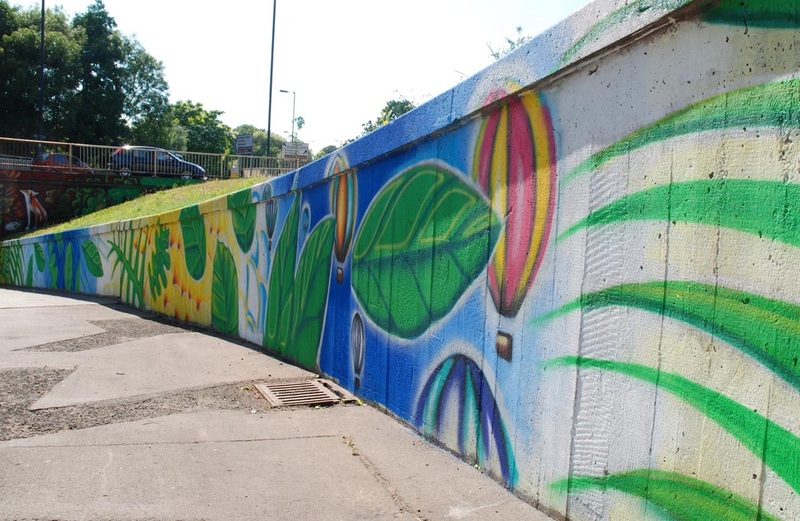 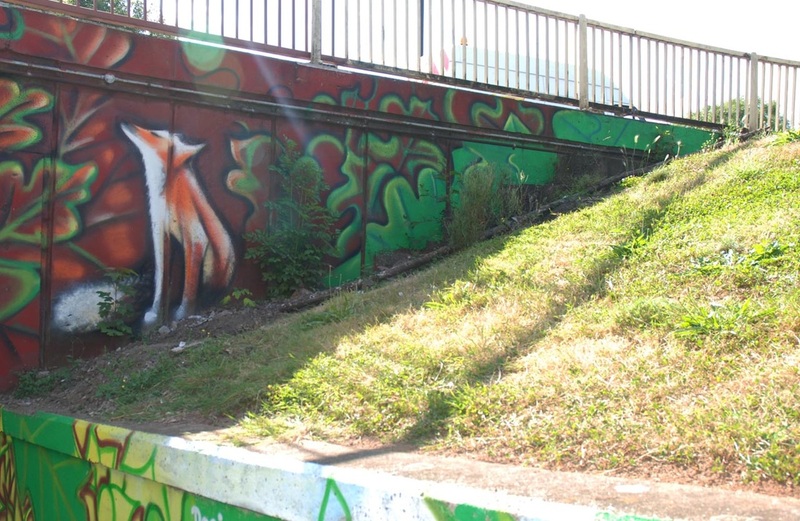 I was recently asked by St George and Greater Fishponds Neighbourhood Partnerships to work with children from Maypark and Glenfrome Primary schools to design and paint the interior of the Eastville roundabout in Bristol. 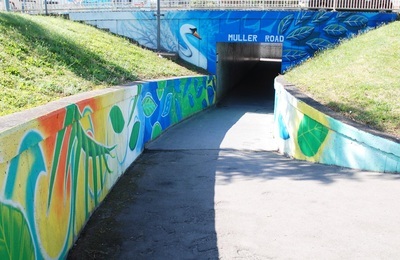 The goal was to brighten up the space and encourage more cycling and pedestrian use. 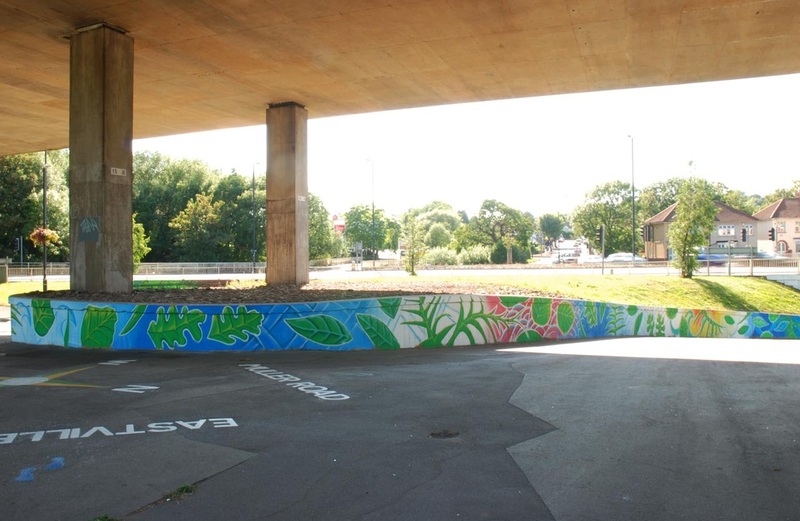 Over two days the year 4 artists worked really hard and came up with some absolutely amazing ideas and I tried to use as many as I could, luckily the space was huge! 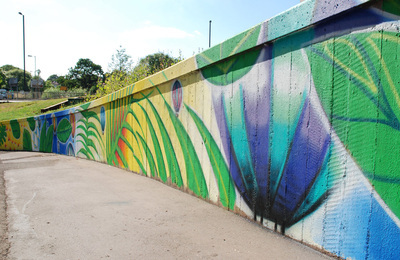 The long wall features leaves from each of the year four classes- Hazel, Oak, Palm and Eucalyptus along with some incredible patterns and hot air balloons that appeared in the children's designs. 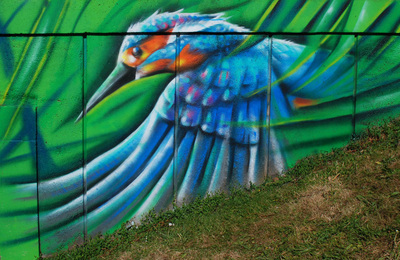 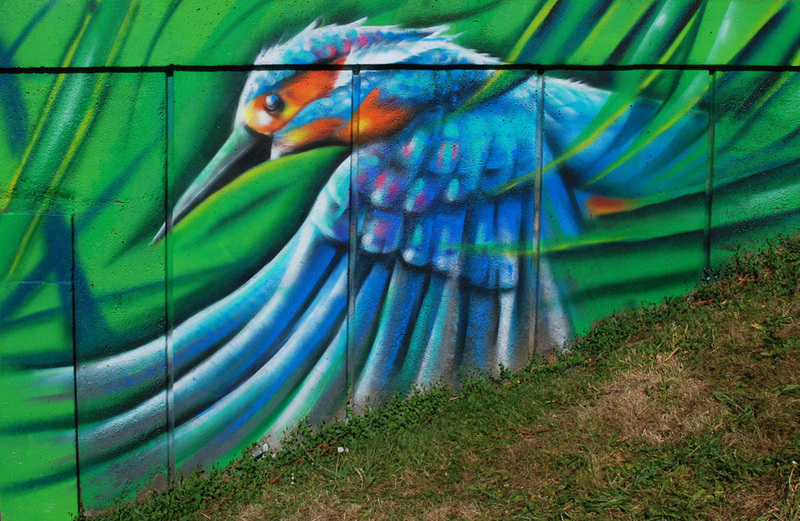 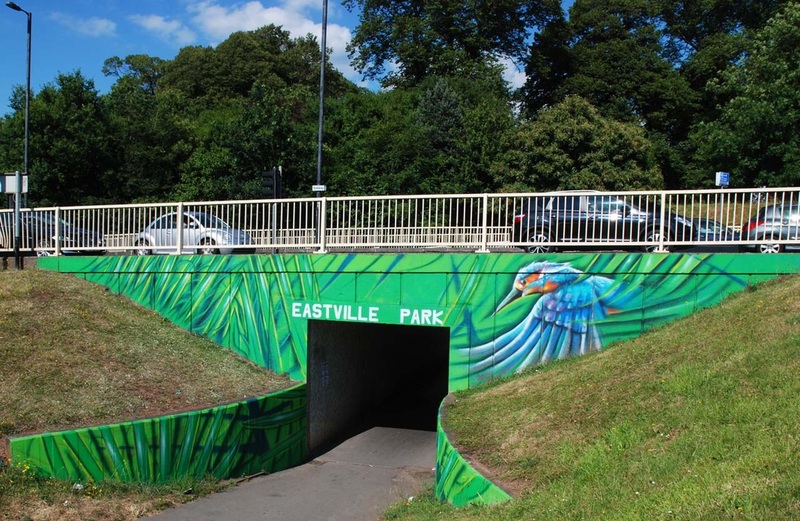 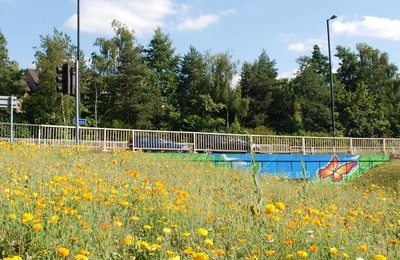 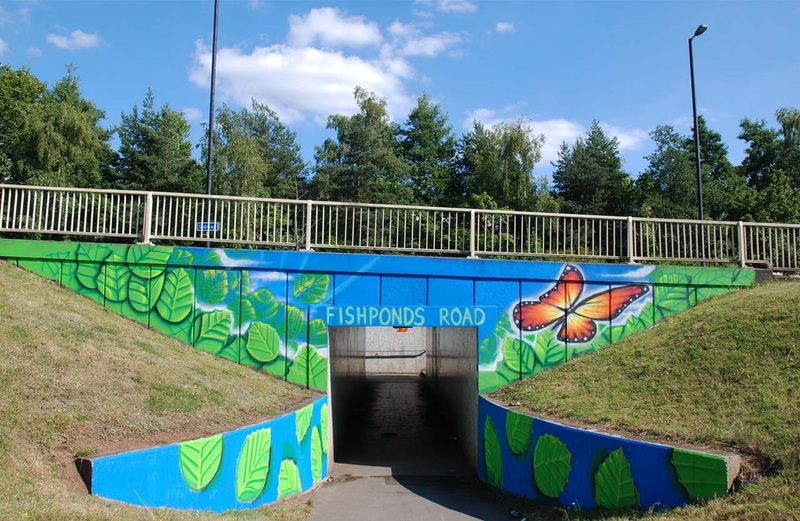 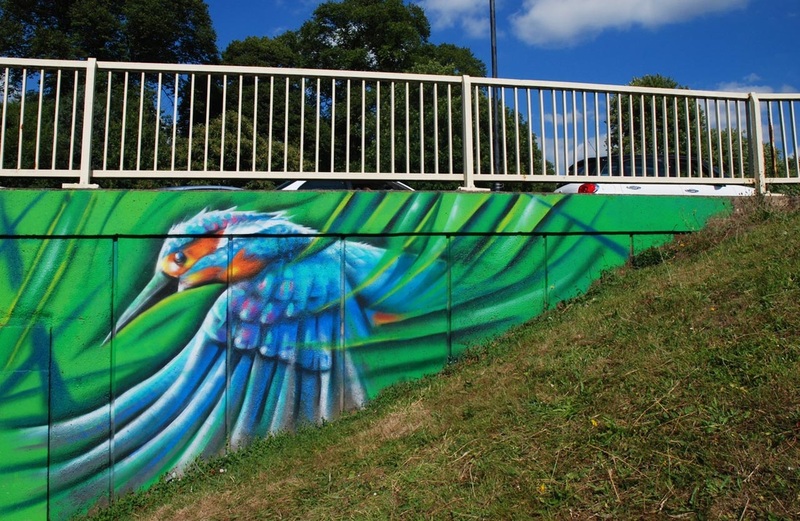 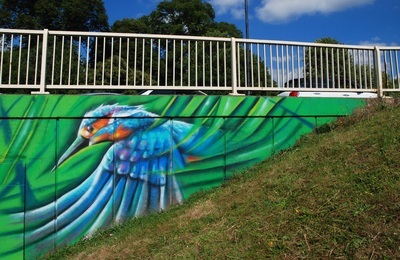 Each of the subway entrances is painted to match a season, the Eastville park entrance is Spring and features a Kingfisher (there's a fishing lake in the park) with a background of Palm leaves after the Maypark year 4 class. 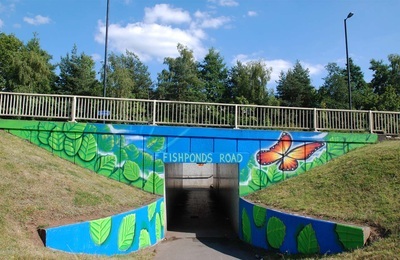 Fishponds Road is Summer, surrounded by Hazel leaves. The Eastgate Centre entrance is Autumn with Oak leaves and a curious fox. 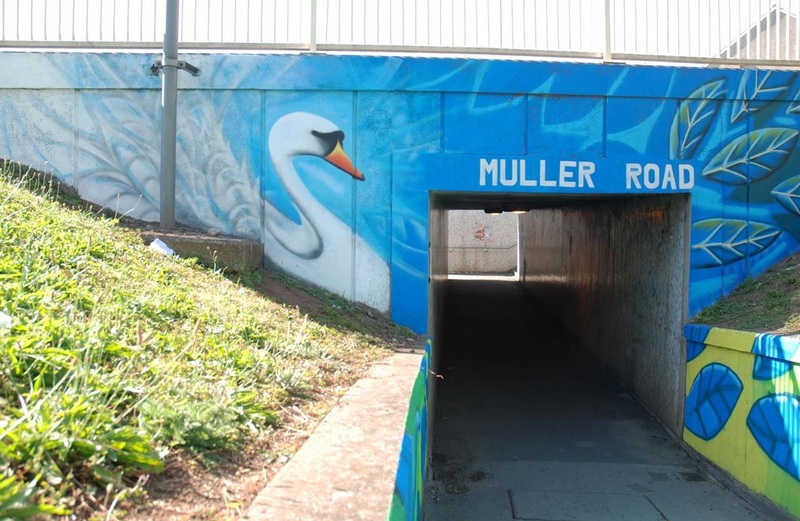 The design for Muller Road is Winter with a swan from the river Frome and Eucalyptus leaves.